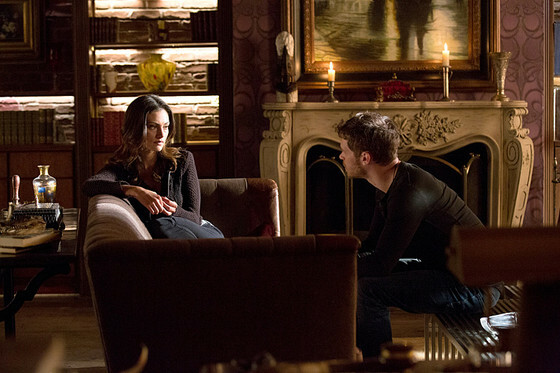 Camille goes to the Mikaelson residence where Klaus is hiding from her and the Elijah tells her that he has no wish to see her. He politely tells her thank you for coming and to leave right before she tells him that Marcel is willing to help them if they give the other vampires a chance. Marcel on the other hand is trying to conjure up a team of worthy candidates which I’m assuming is to turn them into vamps. But well, well, well who do we have here? Mickael, the Originals dad, with Davina feeding off her so that he can get his strength and she can use him. 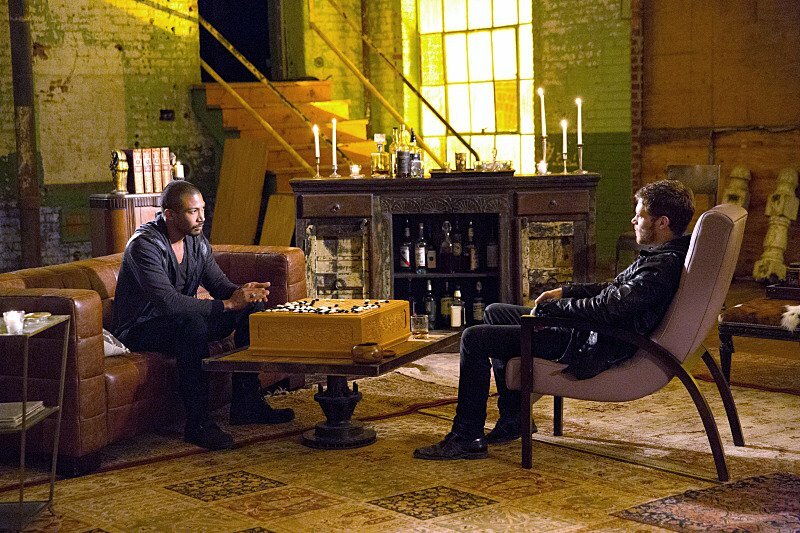 Klaus decides to team up with Marcel after all and make plans to go on a wolf hunt and try and take over. Meanwhile the new witch and Francesca team up to battle as well. All Hayley wishes is that Francesca doesn’t come out of this fight alive. The battle begins with Marcel cutting off the wolves rings and the wolves enter the Mickaelson residence. 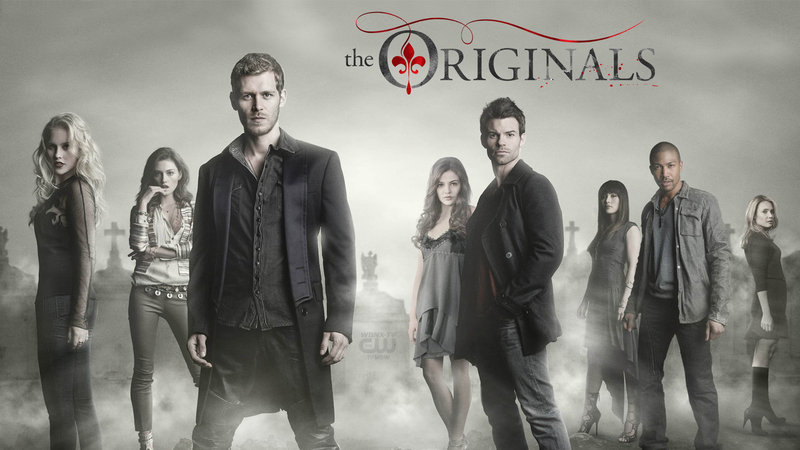 With every wolf that has a ring Klaus gets weaker but with every death he gets better. So little by little the wolves lose their arms and rings. Things start to get heated as the battle continues and Francesca sees the head of one of her minions enter her home with Elijah standing in the doorway and ready to enter freely. We next see Klaus painting with the blood of the wolves and Elijah telling him that there is only one ring not accounted for. When he asks about Francesca, Elijah says she’s alive but as we see in the next clip she’s driving out of the city, fearing for her life and then Hayley appears ready to finish her. But did she? Yes, she killed her and now Hayley feels guilty and horrible for what she has done. She hates it and doesn’t feel any better. Her new life as a hybrid makes her think that she is a monster and that Elijah sees her differently…but come on we know we are #TeamElijahHayley! 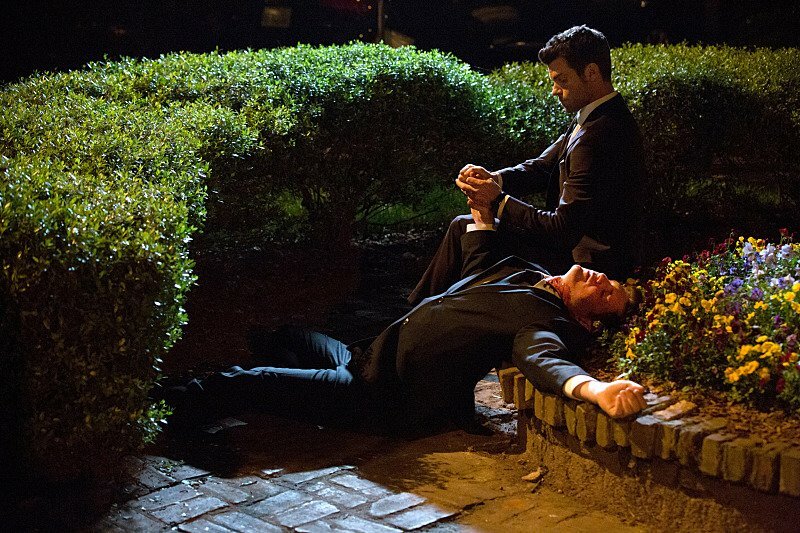 But from what we see Elijah tells Klaus that he is the only one that can comfort her. Camille and Marcel on the other hand are over after she tells him that they can’t be together. Klaus surprisingly does comfort Hayley in that deep-Klaus-way and tells her that her pain will fade and that they are family and will regain power in the quarter. At the end we see Camille meet with a man, who is working with the witch, but Camille has no idea. At the end we see the witch again and she says, “We have a family reunion to plan” and now we get the sense that mama dearest is back in the picture.